salt's wine writer is tickled pink with rosé. Radiant blue skies, soothing sea breezes plus the kiss of the sun on your skin – that sounds like summer right there. As throngs of folk flock to the Sunshine Coast for their end-of-year celebrations or annual holidays, the words ‘chill out’ reverberate from every corner of the Coast. Embracing the ideal Queensland climate with some fresh seafood, a platter of fresh tropical fruit or a salute to the French with a charcuterie board, summer time and sunshine mean picnics. As the shift from winter red wines to refreshing whites has commenced in earnest, perhaps we need to consider the beauty of pink as we lap up the sunshine. That’s right – rosé. According to a Wine Australia report released earlier this year, consumption of rosé in 2017 has increased with those in the 25- to 34-year age bracket the greatest consumers at 27 per cent – up six per cent from 2016. Curiously though is the perception that rosé is only for the ladies. Wrong. The same report shows data indicating that 46 per cent of males surveyed indulged in the pink stuff. Male fans of rosé have been given the Brosé tag, a label which men seem very comfortable with. It’s fair to say that rosé has never been more popular. But let’s debunk a few myths about rosé. The winemaking process is pretty straightforward and rosé achieves its colour from skin contact. Bled rosés (saignée) is the free run juice that bleeds from crushed red grapes. Another method is limited maceration rosés, whereby the skins are in contact for a few hours, half a dozen or perhaps even overnight. Winemakers set their watch and that is that. 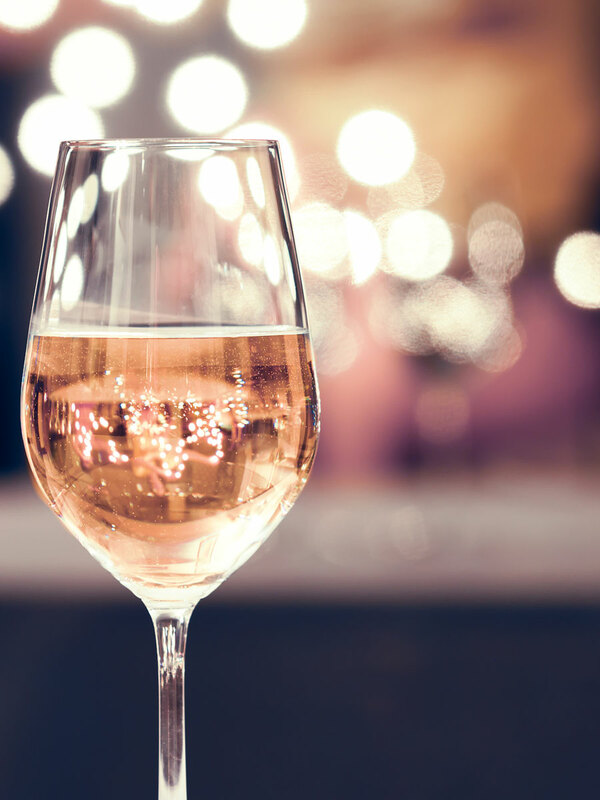 Consumers and sommeliers alike have driven what they want to see and, as a result, we now have access to a multitude of wines with a rose gold, pale salmon or faint copper appearance. In their efforts to copy some of the best Provençal examples, winemakers are playing with texture and experimenting with portions of barrel-fermented fruit too. One unfair misconception is that rosé is sweet – and that couldn’t be any further from the truth. I spoke with a consumer at a tasting event not so long ago. There was a range of wines to taste but she wanted whites only, then pinot noir. When I asked if she’d like to taste a rosé, I was met with a raised eyebrow and a, “No, they’re too sweet”. As we continued to chat we established her perception of sweetness came from the colour. A few minutes later all those preconceived ideas were put to rest and rosé is now her preferred drink. We keep in touch via social media and her exploration now knows no bounds. Conversion stories such as these are always the best! Back to the sweetness thing, and sure, there are instances where deliberate amounts of residual sugar remain, but on the whole, it’s dryness that winemakers are aiming for. Check the recommendations at the end of this article where all the suggested rosés are bone dry – and delicious! Above all, what makes rosé such a good drink is its versatility. Enjoy as an aperitif, with a meal or even paired with dessert. I attended an Oliver’s Taranga dinner in Brisbane not too long ago, and the vineyard’s Chica Mencia Rosé was paired with vanilla tapioca and burnt honey custard, hazelnut and milk chocolate plus caramelised fig ice-cream for dessert – that match closed the night out beautifully. Mencia is a Spanish variety which Oliver’s Taranga winemaker Corrina Wright thought would suit the McLaren Vale climate and her vineyard perfectly – and she’s nailed it. Mencia is grown in only a handful of vineyards in Australia. Think raspberries, the white of the watermelon and some crunch. Yum! Rosé doesn’t have to haemorrhage the bank balance either. Penny pinchers ought to make a beeline for the Yalumba Y Series. Made from sangiovese, it’s such an easy drinking wine with some textural interest sure to please. Track it down on special for around $10 and you’ll be grinning from ear to ear. Speaking of bargains, a couple of months ago I made the call on social media, “Find me a better value rosé for $18 – I dare you,” referring to Queensland’s own Golden Grove Estate’s Brosé Rosé 2018. With an eye-catching label oozing shelf appeal, it seemed the bargain drum was being smashed a little bit too hard and the sold-out sign has already been posted. But rosé lovers and fans of Queensland wines ought to stick that name in their back pocket and get in the queue, because if previous vintages are any indication, the train of pleasure will arrive again in 2019. Cheers to summer and picnics!